Rhoshel Lenroot is Professor of Infant, Child and Adolescent Psychiatry in the School of Medicine at the University of New South Wales, Research Fellow and Group Leader at Neuroscience Research Australia, and Clinical Director for Child and Adolescent Mental Health Services for Southeastern Sydney Local Health District, as well as continuing her work as a clinical Child and Adolescent Psychiatrist. She underwent her training in medicine and psychiatry at the University of New Mexico in the United States, followed by a research fellowship at the National Institutes of Health in Bethesda, Maryland. 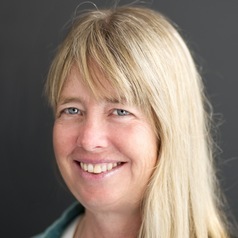 Since relocating to Sydney in 2009, her work has focused on neuroimaging studies of disorders affecting brain development, such as conduct problems, bipolar disorder, autism and schizophrenia, and improving mental health interventions for children and adolescents. She has published over sixty journal articles and book chapters and frequently speaks on topics related to neuroscience and children's mental health. In May of 2009 Rhoshel relocated to Sydney to begin her work at NeuRA and UNSW using neuroimaging techniques to study healthy and atypical brain development in children and adolescents.